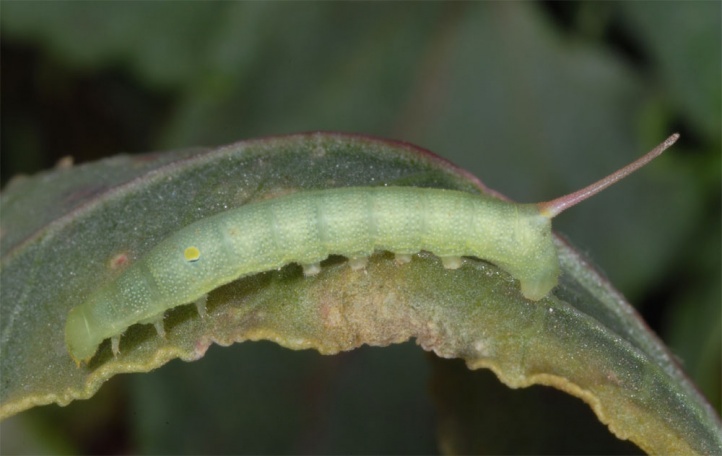 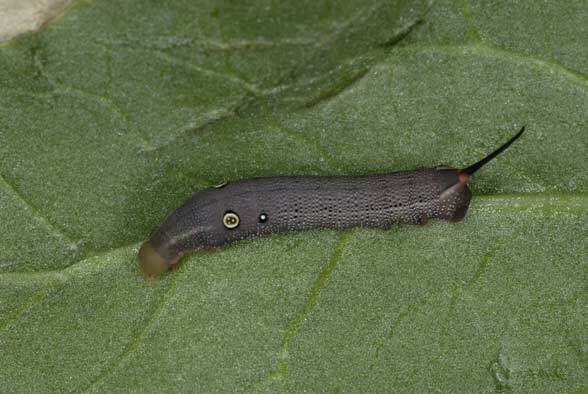 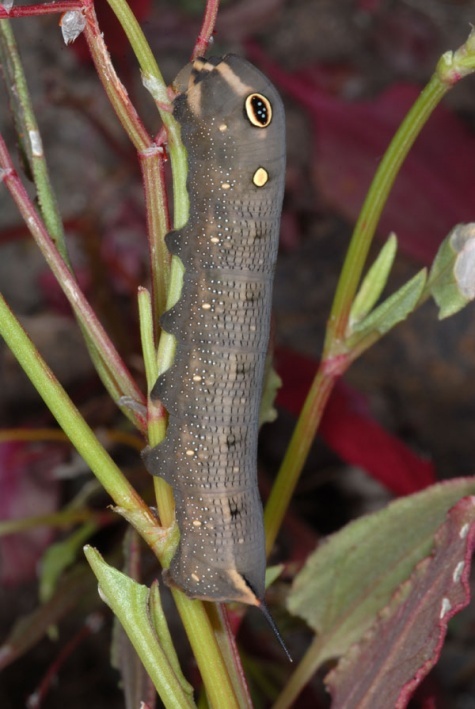 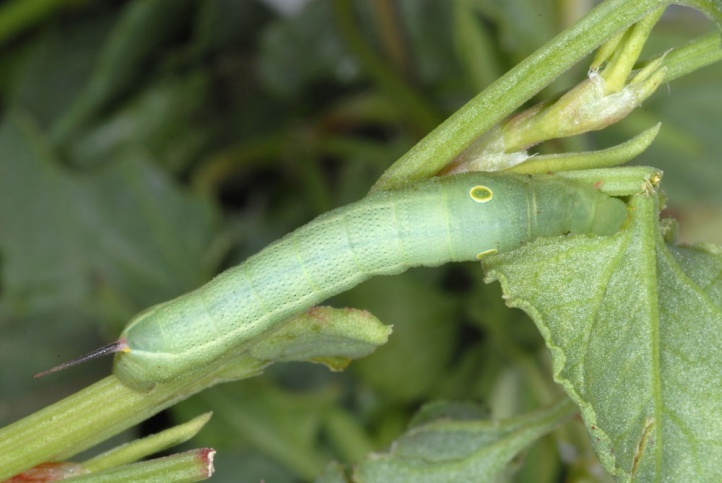 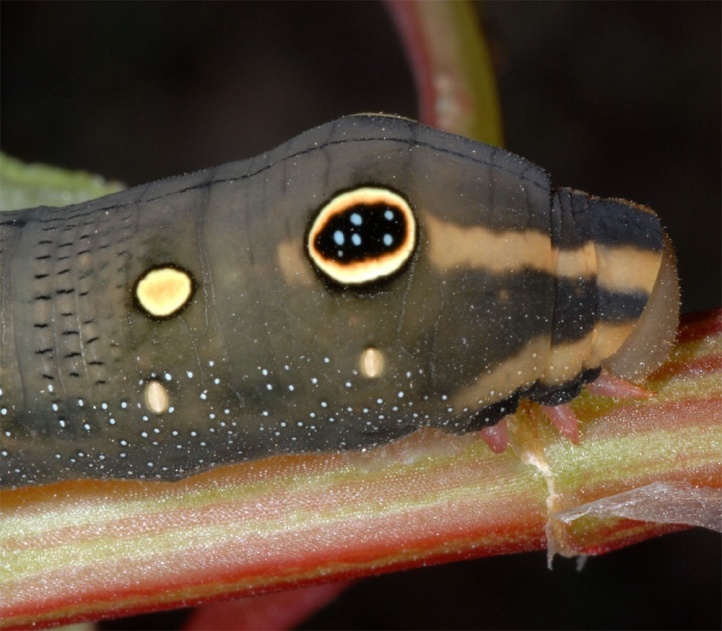 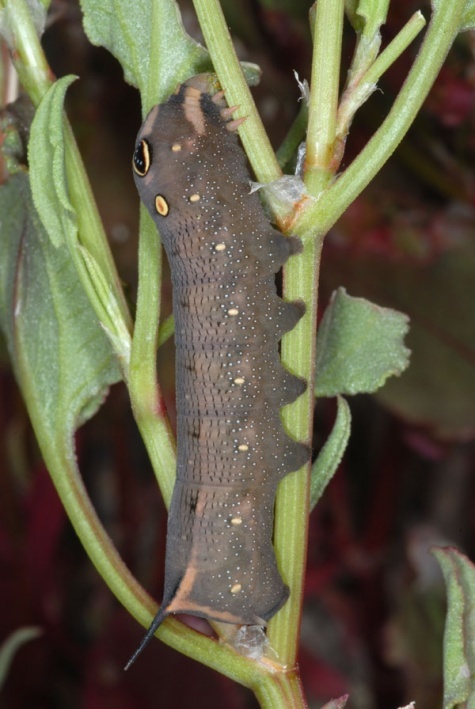 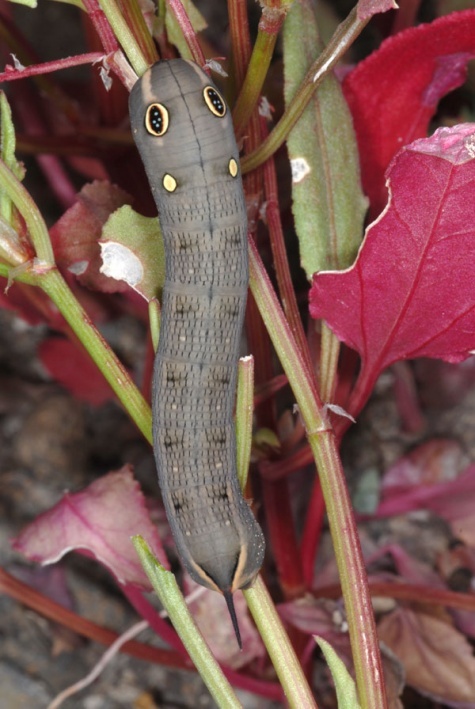 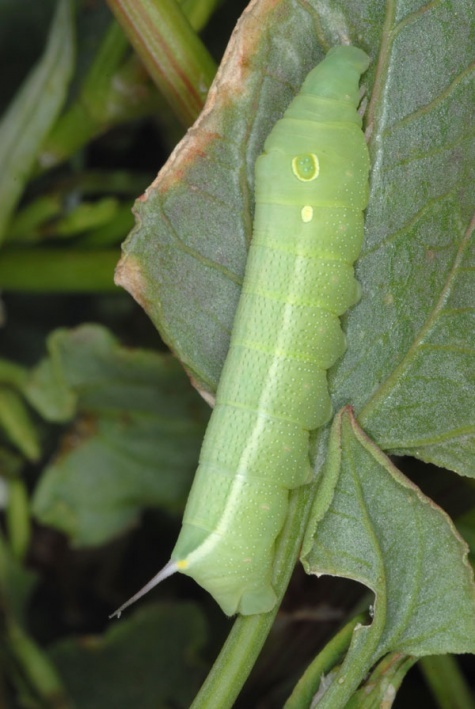 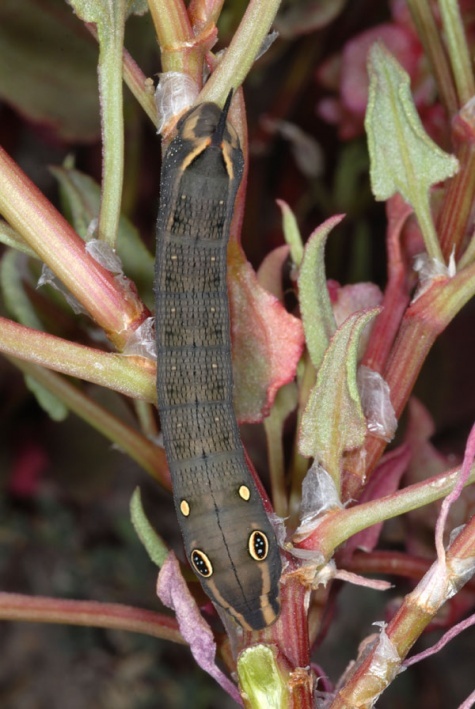 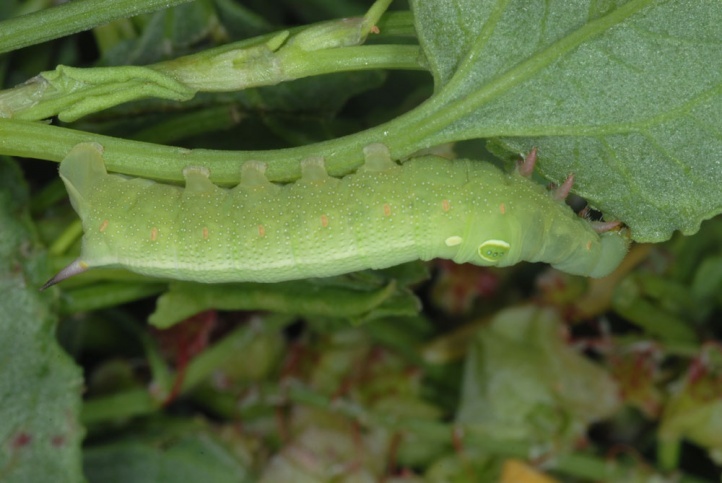 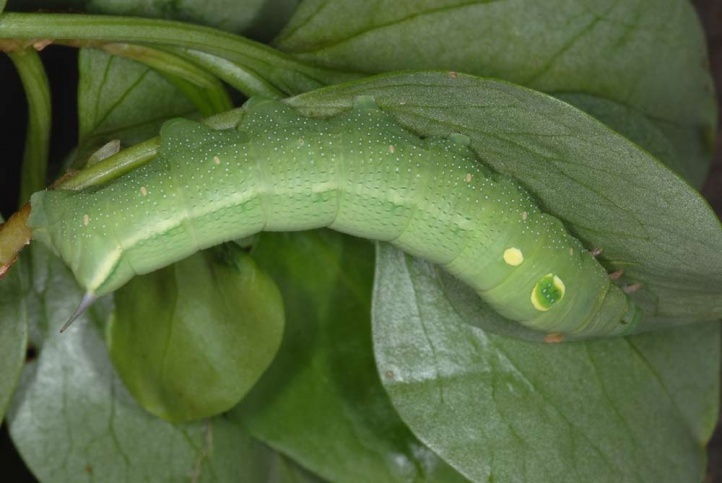 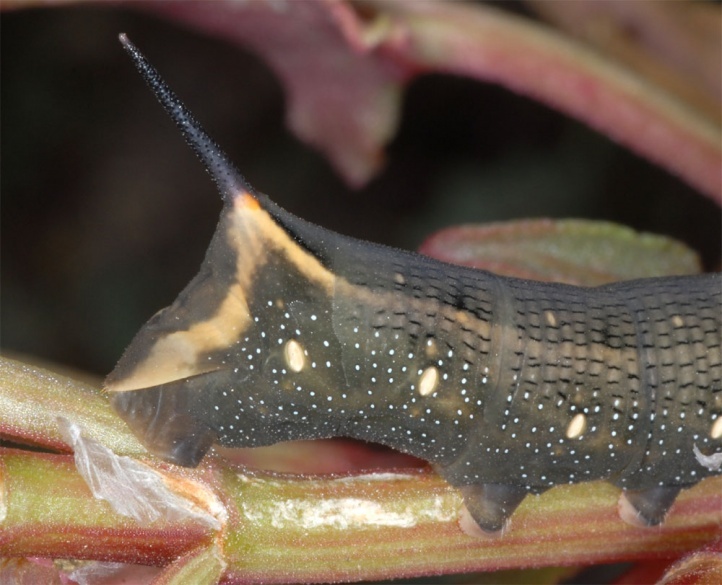 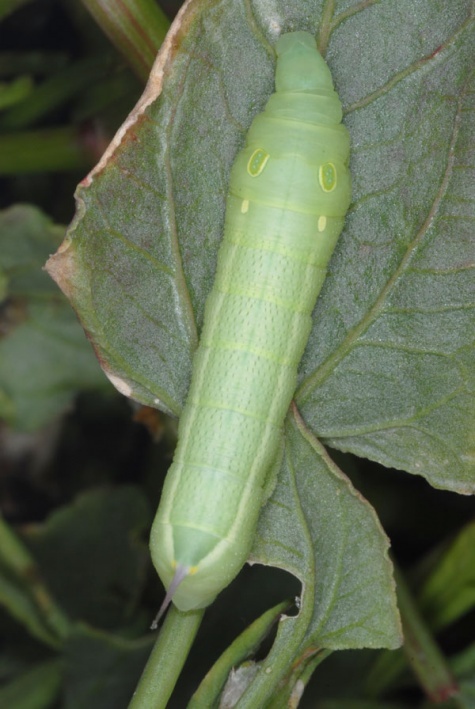 In principle, the larvae feed on Rumex species, but more rarely also Vitis and other Vitaceae and thirdly other plants (Liliaceae, Rubiaceae, etc.). 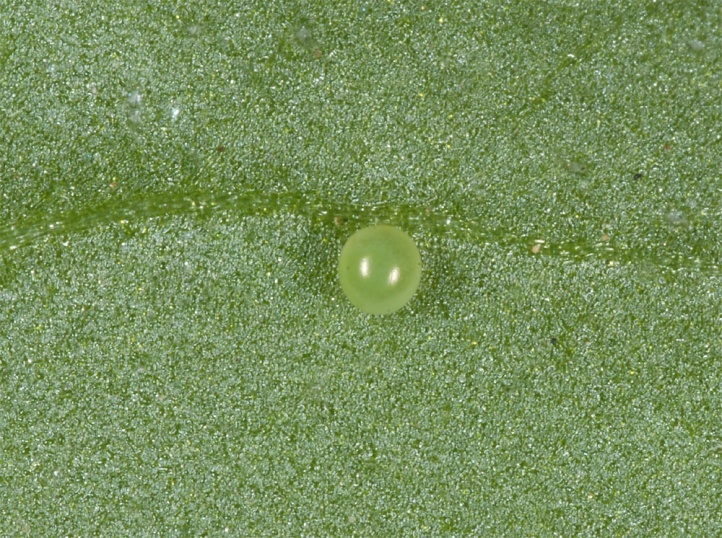 Oviposition usually occurs on the underside of leaves. 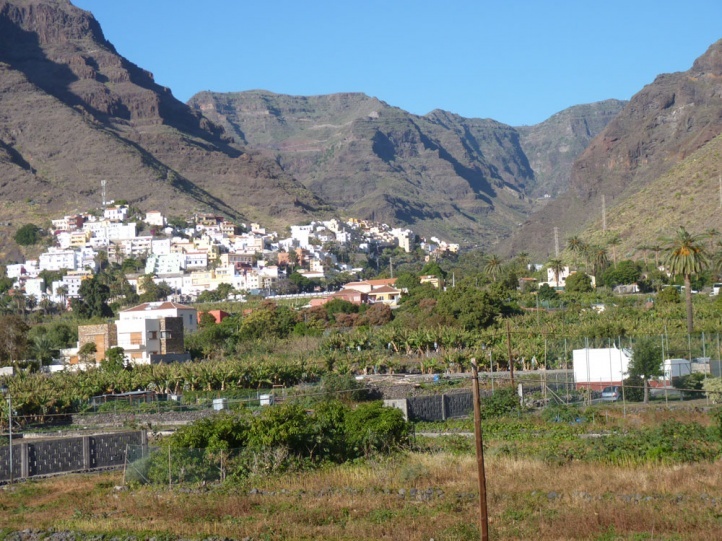 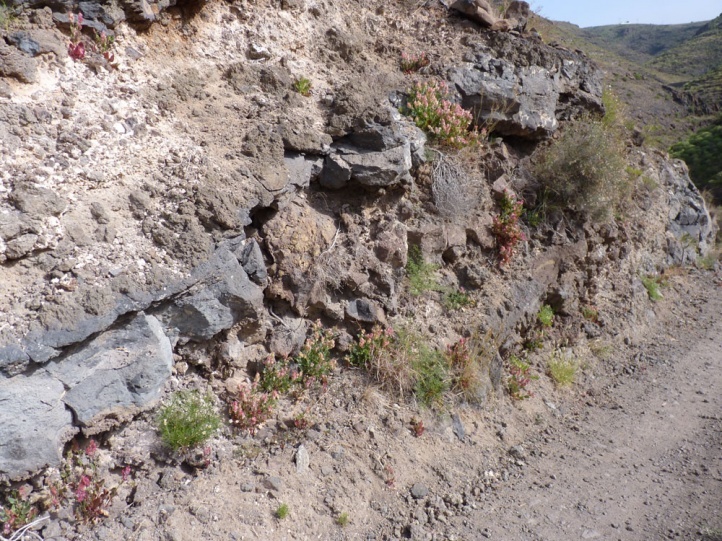 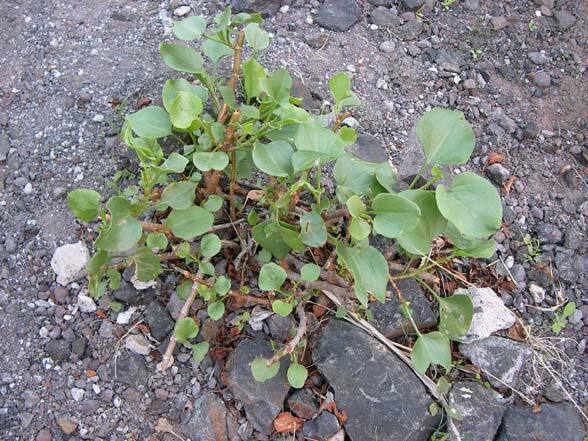 In the Canaries, Hippotion celerio inhabits coastal areas such as gardens, cultivated areas, dumps, roadsides, ravines (barrancos) and rocky slopes with the forage. 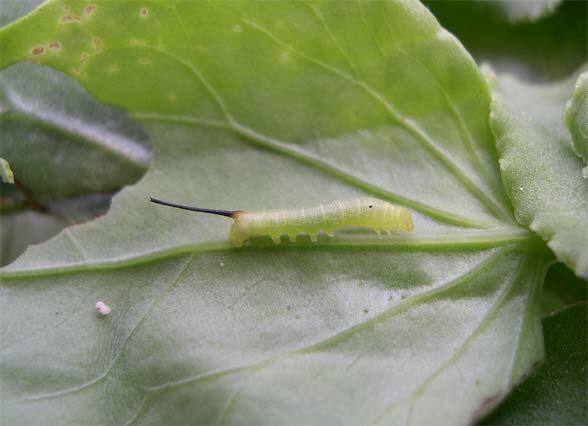 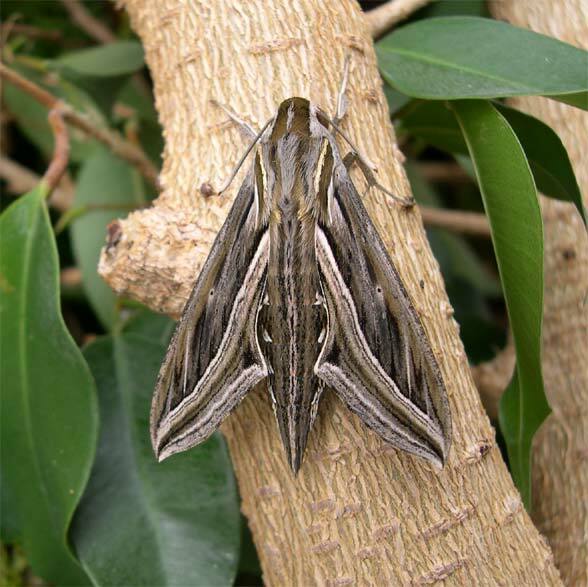 In late December 2006 and 2011 as well as in February 2013, I found more than 100 larvae and lots of eggs in La Gomera (all parts of the island near the coast), in part on Rumex lunaria and partly on Rumex vesicarius. 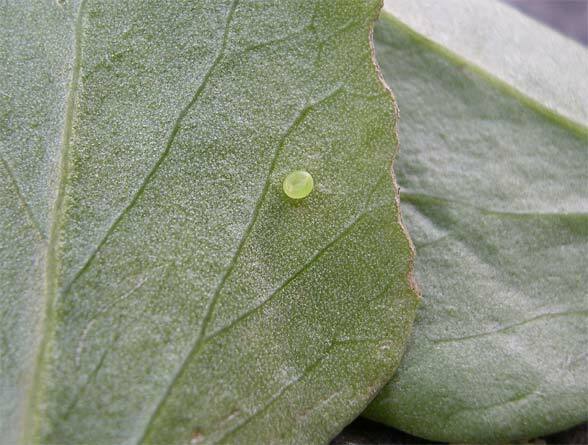 On the latter there also oviposited the common Lycaena phlaeas. 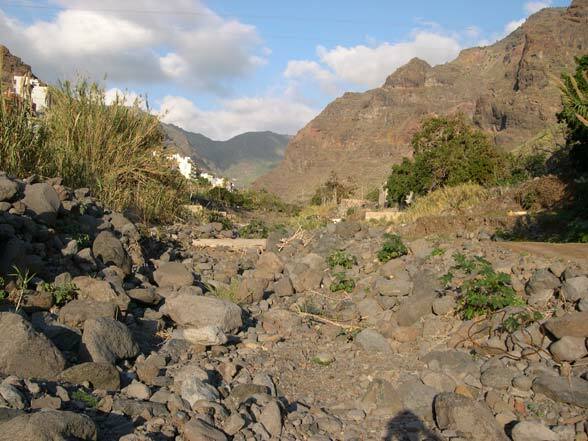 In the Canary Islands and in North Africa, Hippotion celerio can be observed throughout the year. 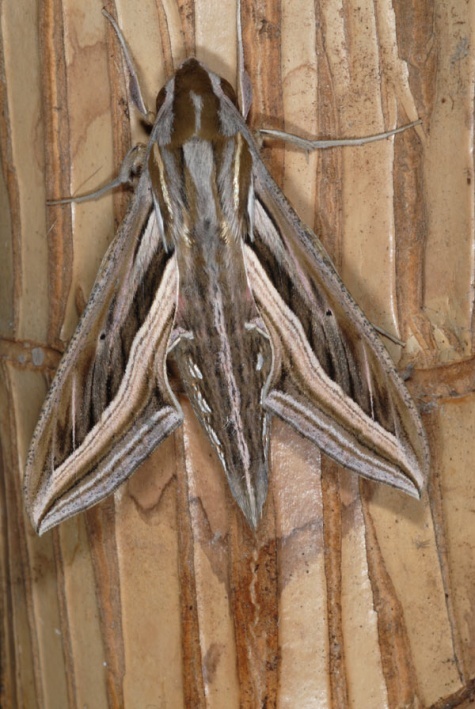 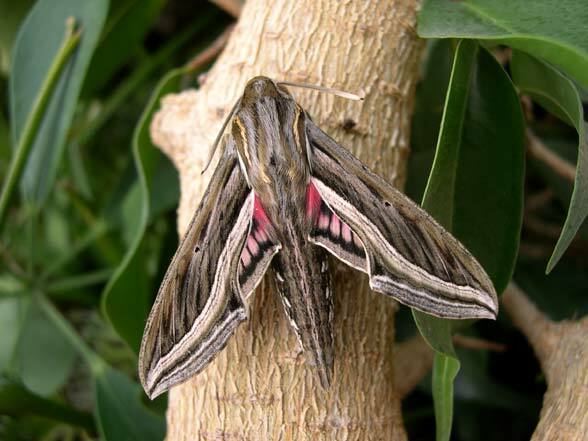 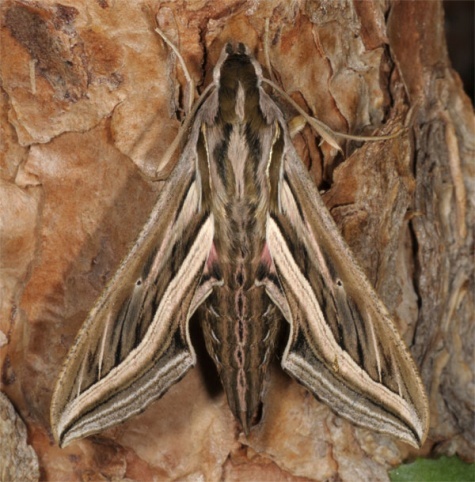 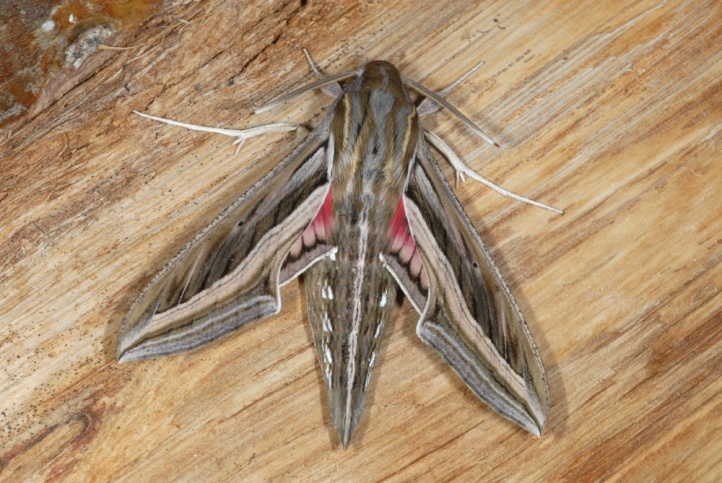 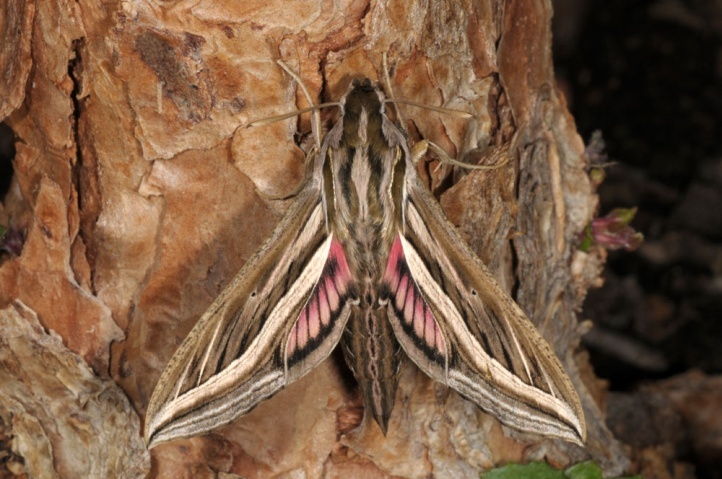 In Southern Europe it occurs as a occasional migrant in the summer months. 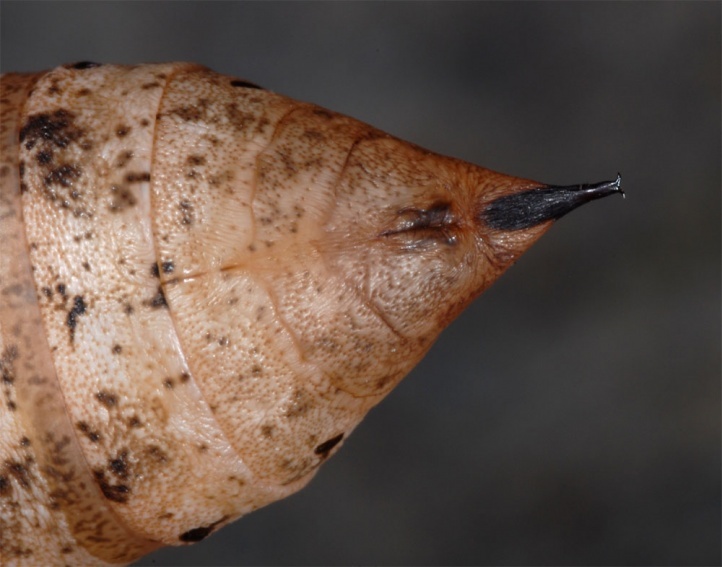 North of the Alps, there are only rarely single immigrants. 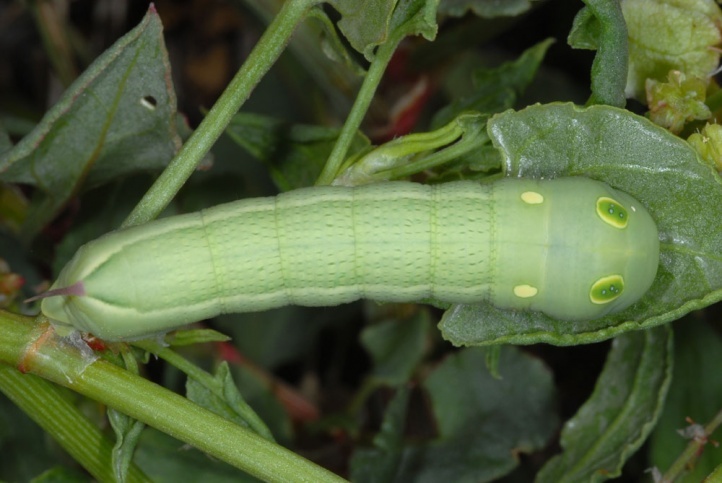 Hippotion celerio is not endangered. 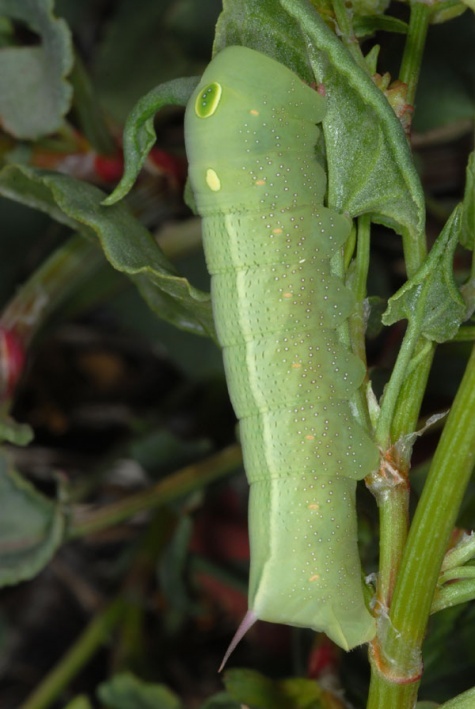 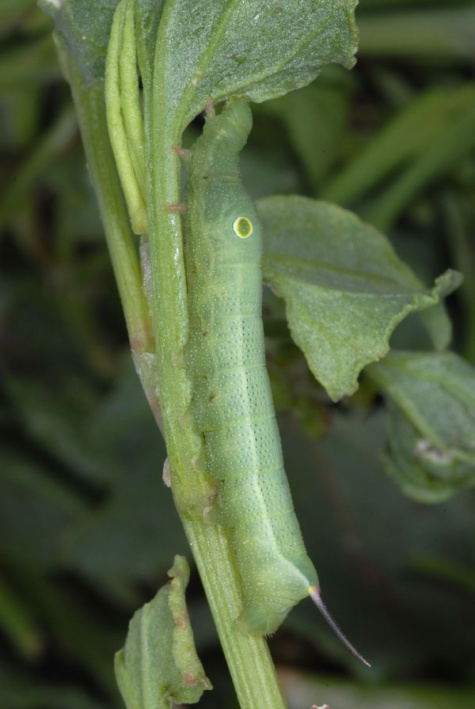 The mature caterpillars are on Rumex lunaria mostly green, on Rumex vesicarius partly green and partly brown. 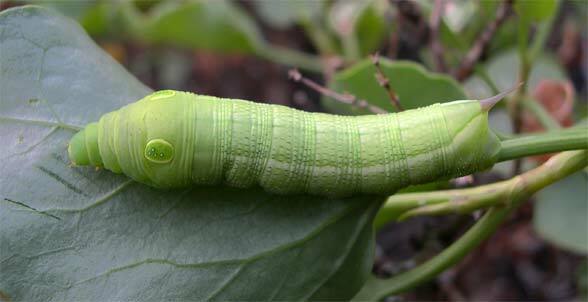 This is related to the size of the host plant. 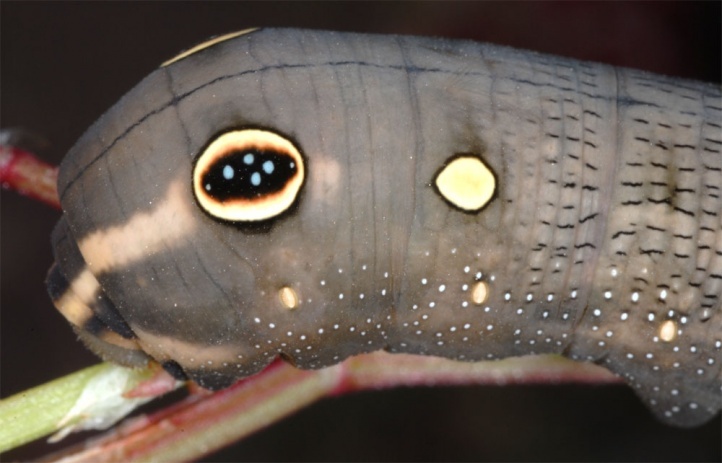 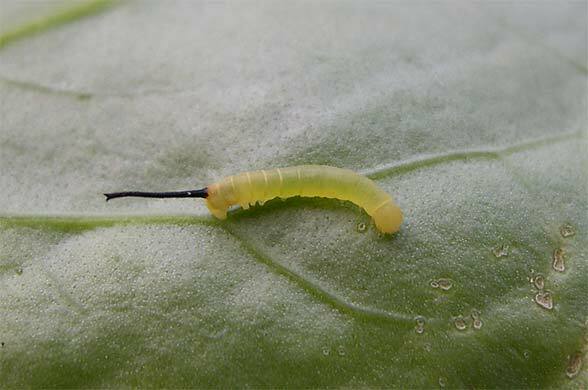 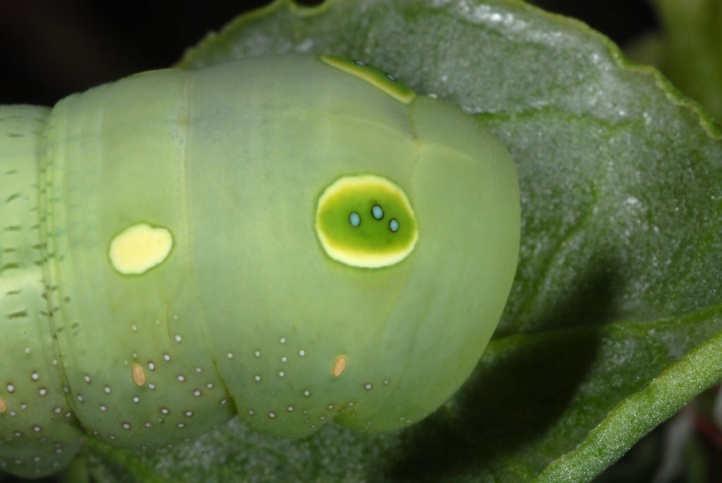 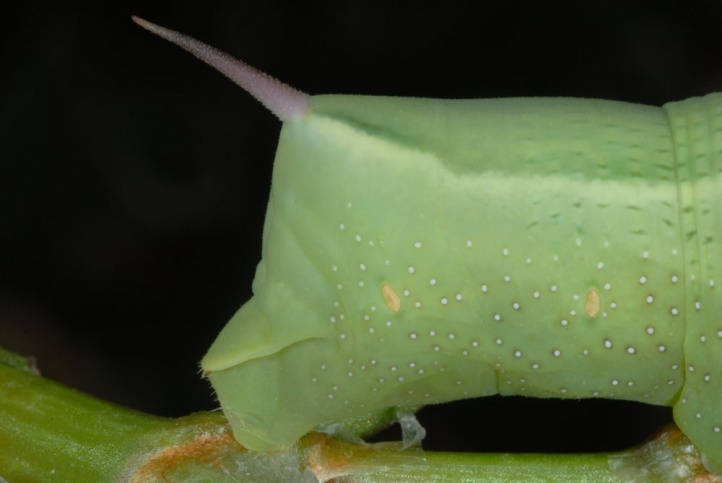 On low growing, small plants the larvae are often brown and on more leafy, tall plants green, where the caterpillar usually rests on leaves. 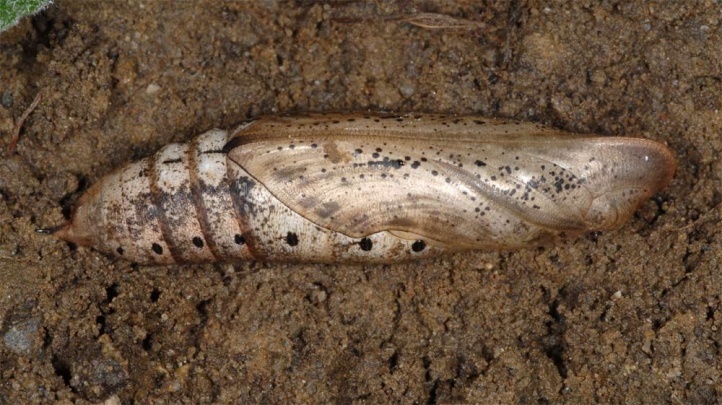 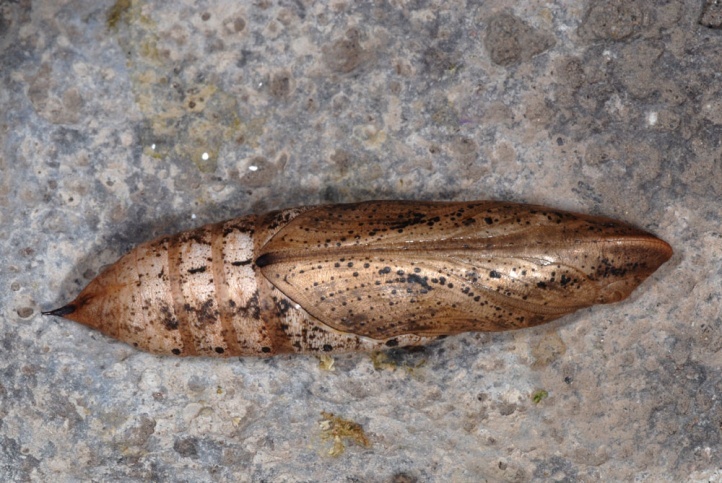 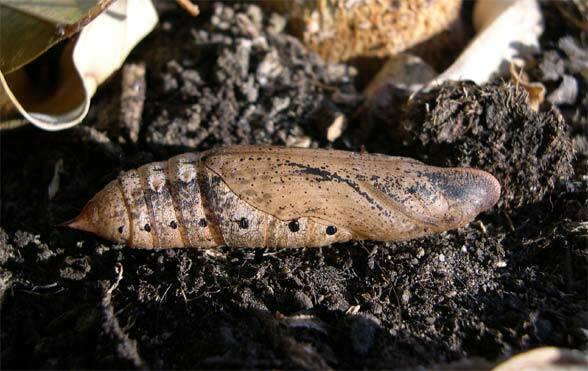 In a breeding, however, in the final instar all larvae became brown (dark breeding conditions). 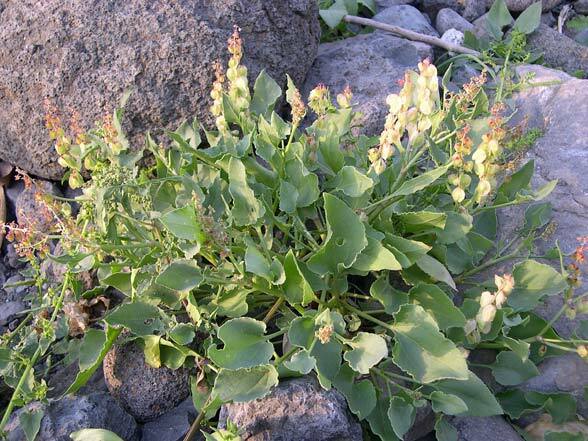 Hippotion celerio occurs as a native species from the Canary Islands across Africa and the Arabian Peninsula to the tropical southeast Asia.